Home Affairs minister Steven Kapyongo, Defence minister Davies Chama and Inspector General of police Kakoma Kanganja have shared the millions of Kwacha that was meant for police officers and soldiers who were deployed to Mongu to protect Edgar Lungu and the Litunga during the Kuomboka. The result was that only 130 police officers instead of the intended 600 were deployed. The consequence was that the police and soldiers were overwhelmed by the Mongu residents who turned up to see Hakainde Hichilema and Geoffrey Mwamba. Even those who were deployed were only paid peanuts instead of the K40, 000 each police officer and soldier was entitled to. 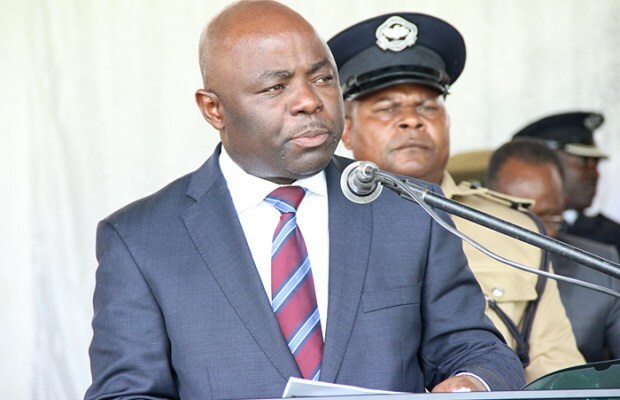 The ministry of Finance released huge sums of money to the ministry of Home Affairs and Defence ministry a week before the traditional ceremony and Kanganja announced that 600 police officers would be sent to Mongu. “When Kanganja was announcing that 600 officers would be sent, he was just speaking based on his knowledge that the ministry of finance had released enough money but he had not yet realised that Kapyongo and Chama had shared 80 per cent of the money,’ a source in the police said. But when Kanganja realised that the ministers had shared the money, he just went to demand his ‘cut’ and agreed to send only a few officers to Mongu. Apparently, Kapyongo, Chama and Kanganja disregarded the OP report that forewarned them of a possible ‘uprising’ in Mongu. ‘They only focused on money and thought Mongu is a small town that can be managed by a few police officers,’ so they decided to ‘chew’ the money,’ the source said. The source explained that each police officer and marine was entitled to K40 000 as the OP had warned that the situation in Mongu could be volatile and dangerous. ‘So you can imagine what 130 police officers could do and as you know the Litunga alone required more than 200 police officers to protect him as he was fearing for his life,’ the source said. Due to the limited number of police officers sent, the police were unable to control the crowds or to clear the roads for Lungu to pass. Lungu has been informed but being a puppet, he fears to take an action against the people who helped him rig elections. So he would rather blame HH.